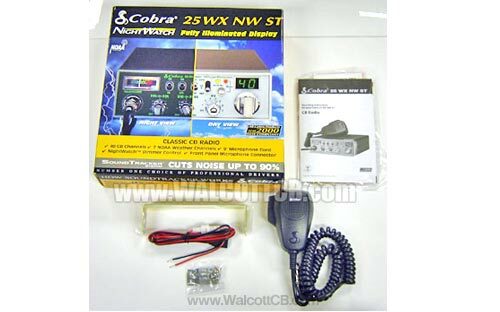 Sorry, the 25WXNWST is discontinued. 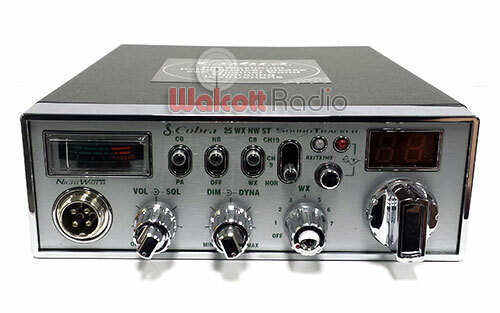 The NightWatch series of CB radios continues Cobra's proud and unmatched tradition of enhancing safety and convenience for professional drivers. 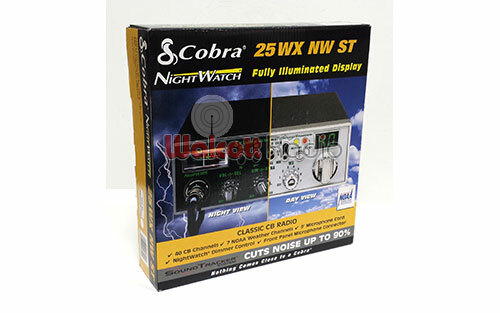 NightWatch technology fully illuminates the radio's function settings for easy viewing at night. The unique, solid-state, electro-luminescent backlighting is powered by a dedicated integrated circuit to maximize night vision while minimizing eye fatigue. A dimmer control adjusts to all lighting conditions. 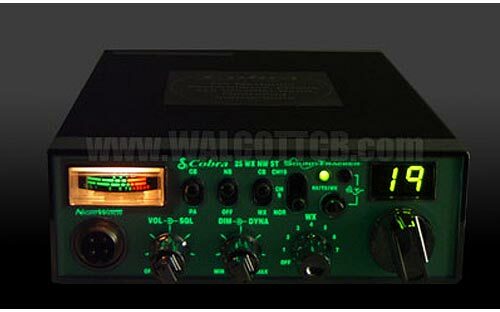 And all NightWatch CB radios incorporate Cobra's exclusive SoundTracker system to reduce static by up to 90%. 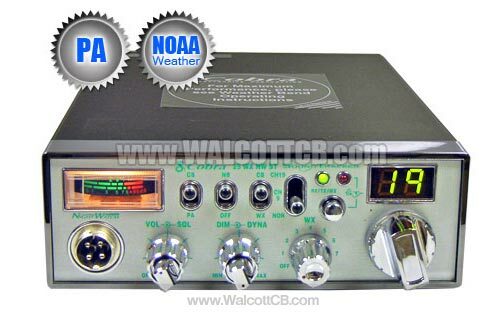 Instant access to 7 National Weather Channels, 24 hours a day, in all 50 states. 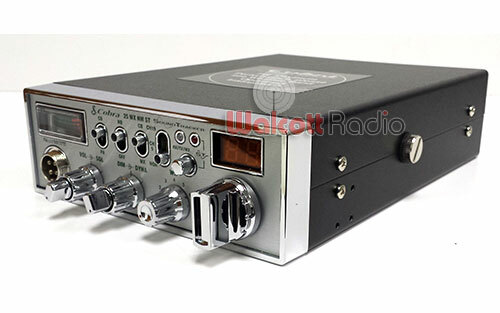 Dramatically improves the sound quality of the transmission and reception of CB signals. 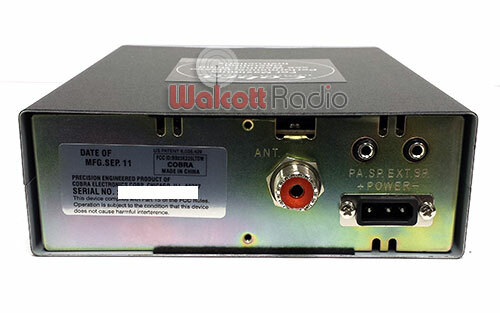 Adjusts brightness of the front panel, channel display and signal strength meter. Precisely tunes all 40 CB channels.